At All Around Soil & Stone, we not only provide the best landscaping materials in Colorado, but we also want you to become a landscaping savvy. That way, you will achieve unmatchable beauty for all your landscaping projects. Today, we are going to talk about stone pavers. Stone pavers are products made from stones used to build flat, easily accessible surfaces for courtyards, garden steps, crosswalks, driveways, patios, pool decks, and any other outdoor living area. Bluestone is a natural stone composed of sand and other particles. Its bluish-gray hue makes it perfect to create elegant patios. Cobblestone is a naturally rounded stone used to give a vintage feel to your driveway or walkway. Flagstone is a non-slip paver cut from a stone quarry. It is a durable, safe option, perfect for around the pool or pathways that are in direct sunlight exposure. Limestone is quarried from local sources, and when cut for paving, it gives a velvety finish. It is a tough stone that can also be custom-shaped. It usually comes in popular grayish white and sand colors but can come in greens, too. This stone is ideal for hot climates as it reflects the heat. Very attractive option due to its toughest nature and its elegant look. It is available in many different colors. They are very aesthetically appealing due to their natural color and texture variations. Stones pavers are one of the most durable materials you can find in the market. They can endure harsh weather conditions and still manage to keep their natural beauty for many years. With a broad range of colors, sizes, shapes, and textures, you can easily create unique custom outdoor living spaces. They can be installed in several different patterns, providing many alternatives for your landscaping project in Colorado. Stone pavers are easier to install than brick and concrete pavers. They will achieve their maximum beauty when properly installed. 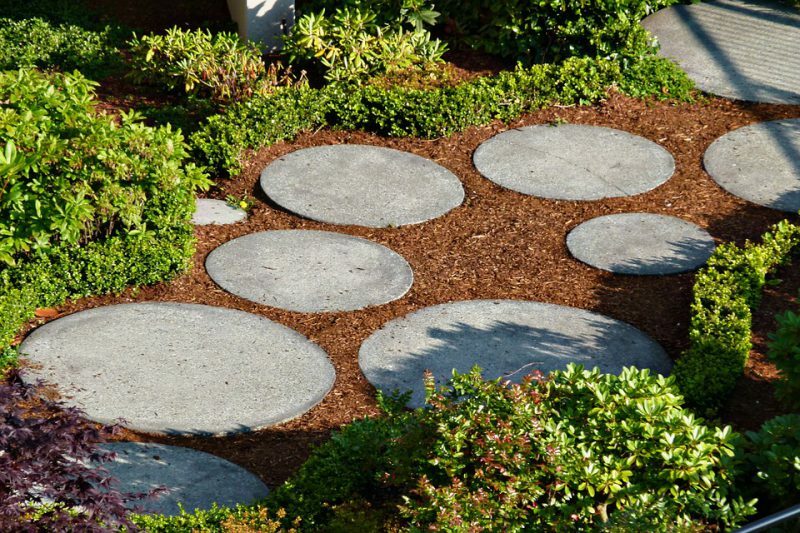 Now you know about some beautiful stone paver alternatives, you can think about decorative rocks and mulches for your outdoor spaces. If you need materials for your next landscaping project, reach out to a reliable supplier company like All Around Soil & Stone. Contact us to see how we can help!